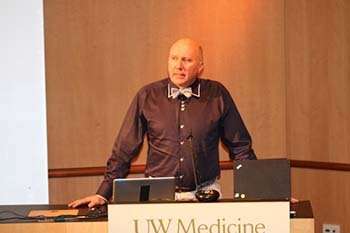 The 5th Annual Summit in Seattle: "Focus on Shoulder Disorders"
The 5th Annual Summit in Seattle: Focus on Shoulder Disorders was held on July 25-26, 2014 at Harborview Medical Center. The course co-chairs were Dr. Lisa Taitsman and Dr. Winston Warme and the guest faculty included Dr. April D. Armstrong, Milton S. Hershey Medical Center, Dr. Jonathan P. Braman, University of Minnesota, Dr. Jason E. Hsu, Dr. Scott A. 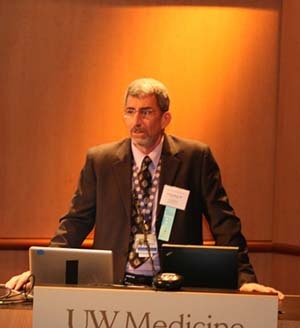 Rodeo, Hospital of Special Surgery, and Dr. Kevin L. Smith, The Sports Medicine Clinic. 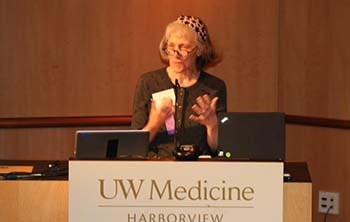 UW Orthopaedics and Sports Medicine Fellows, faculty, and physical therapist Sarah Jackins gave presentations. 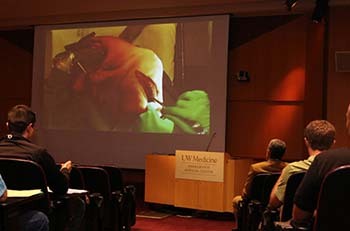 The two day course also included several live arthroscopy sessions transmitted from the ISIS to the auditorium, allowing attendees to watch and ask questions in real time.